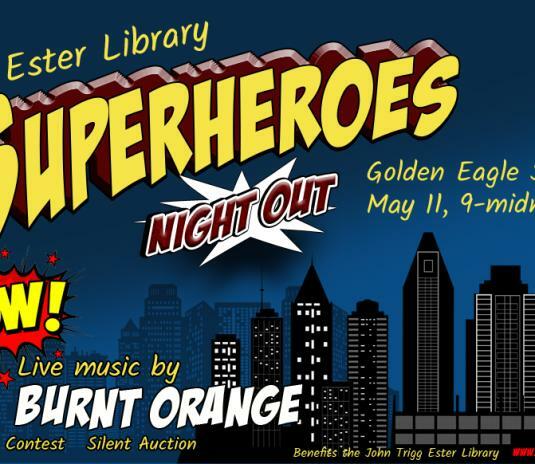 We welcome you Superheroes Night Out, a costume, dance party fundraiser for the John Trigg Ester Library on May 11, 2019. 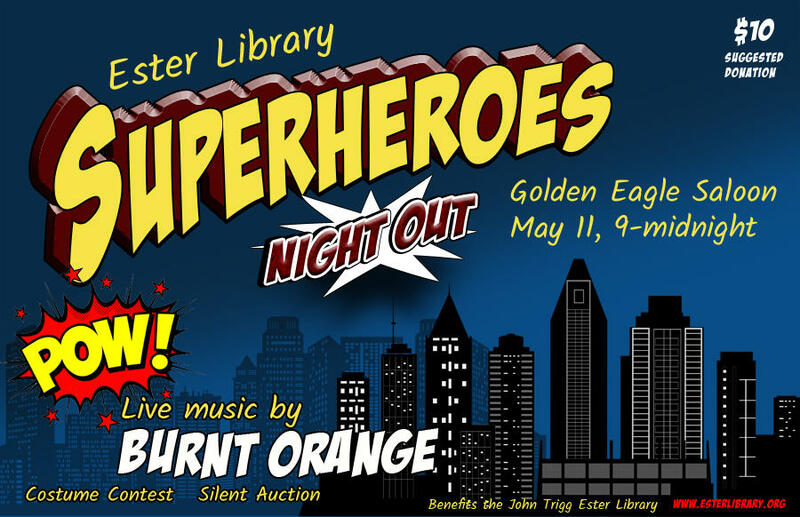 Superheroes Night Out includes a superhero costume contest, a silent auction plus rocking music and dancing to Burnt Orange at the Golden Eagle Saloon in the (fictional?) metropolis of Ester. Ester's community library needs you to help us in our mission to benefit humanity and serve as a beacon of literacy in our community. Suggested $10 donation supports John Trigg Ester Library operations.